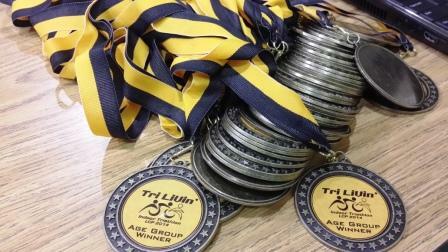 This was my 5th time competing in the Great Island Adventure Triathlon in Lock Haven, PA. The race consists of a 5K kayak, 25K bike, and 5K run. This was my first solo triathlon in over a year thanks to a strained calf that limited me to just triathlon relays in 2017. Race conditions were less than ideal with temperatures in the 90’s. The race field was much smaller than years past. I am not sure if that was due to to extreme heat or other factors. The participants that did show up were experienced fast racers up for the challenge of the course. I started off slow and a little behind in the kayak leg. This race always brings out top national and regional paddling champions. I managed to catch up and pass a few kayaks in the back half of the paddle but lost the time when I pulled my kayak into the boat launch only to find out that the takeout point was 50 yards downstream. The heat and lack of confidence in my calf kept me fairly conservative on the bike leg trying to reserve energy and effort for the run. My run went much better than the other race legs. My hydration strategy kept me ready and energized. While other racers were cramping and walking I kicked it into gear and made up a lot of time passing several people. I managed the 3rd fastest run split behind the top 2 overall finishers. All participants received long sleeve tech shirts and a finisher mug or pint glass. This race is always well organized and a lot of fun. I am happy to report that my calf held up and I am sure it will give me confidence going into my next triathlon.